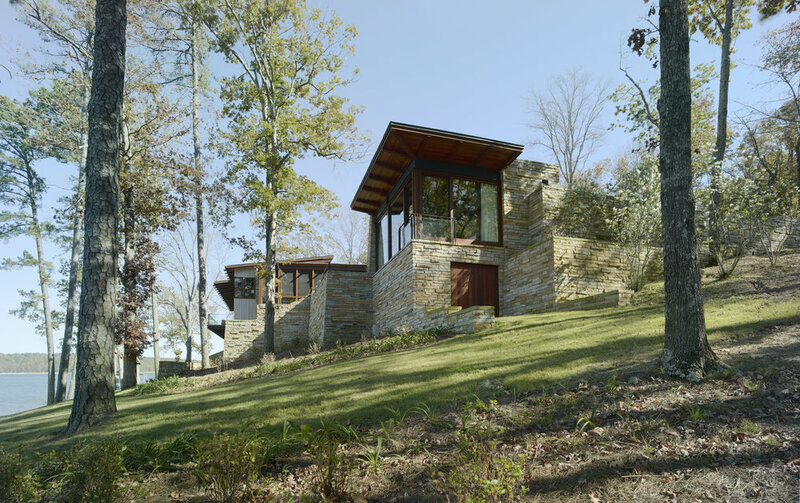 In response to the Client’s vision for a stone house of modern principles and rustic character that fits comfortably into its surroundings, Hillstone possesses the airiness of infill pavilions located between stone “ruins." 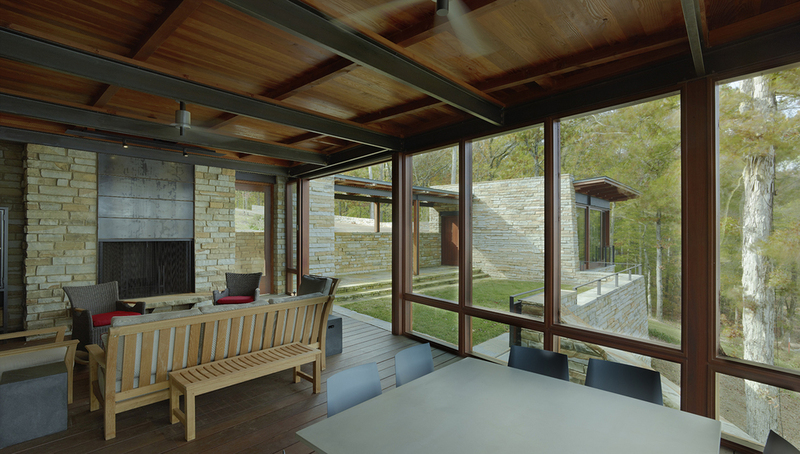 Upon arrival, the visitor first sees the house's low profile horizontal roof form of natural zinc, which both echoes the color of the lake below and preserves the view. 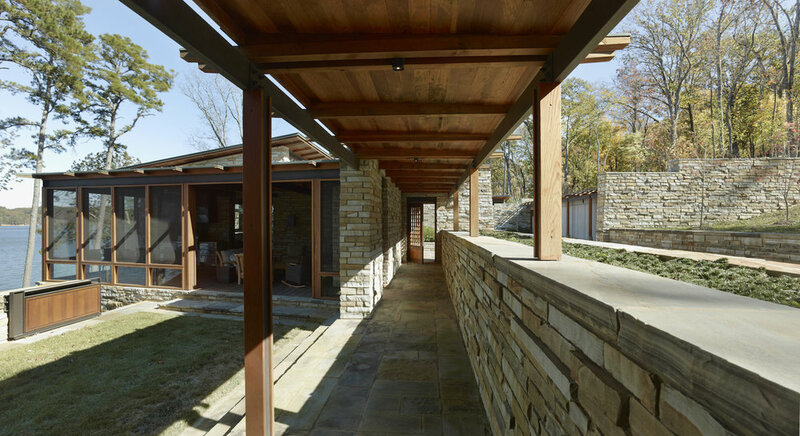 Stone steps lead to a quiet transitional motor court enclosed between stone walls with random cypress siding, reminiscent of the native shaggy-bark oak trees. 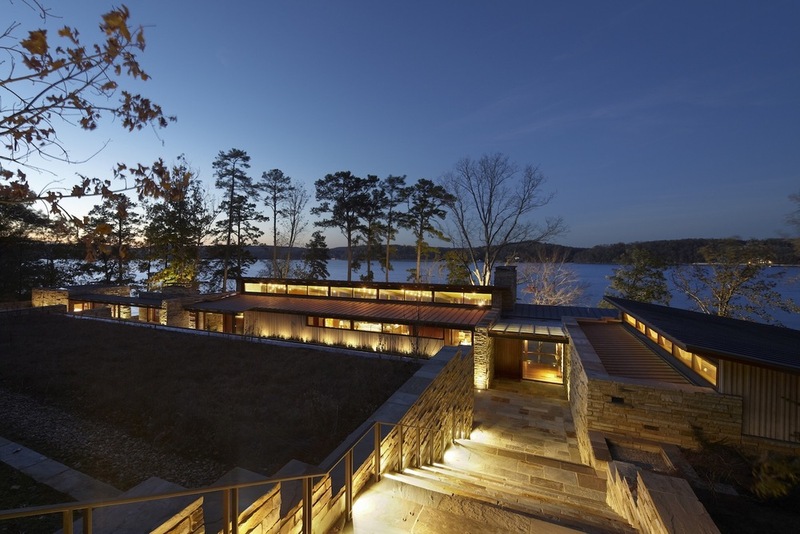 The entry opens into a glass stair hall that visually connects to the pebble beach below. The main pavilion extends from the entry and, sheltered under a floating timber structure pitched parallel with the natural slope, provides Southern light through clerestory windows. Kitchen and dining areas are open to the main room and are on an upper tier, allowing views over the adjacent space. 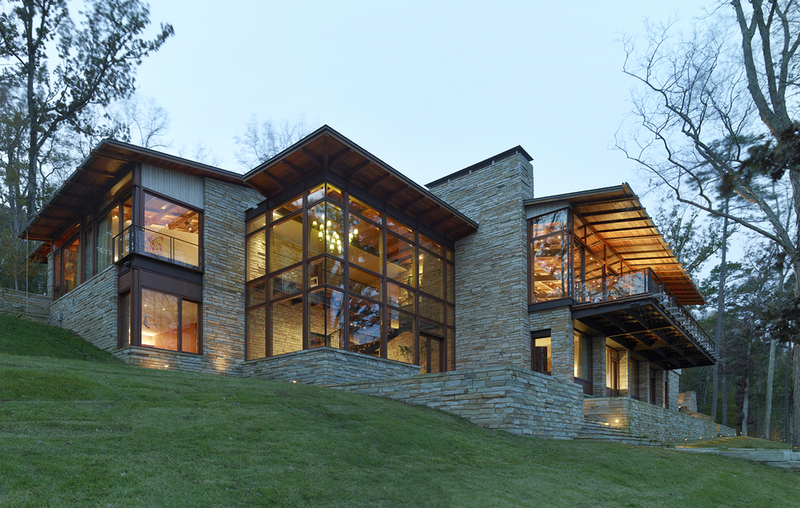 A glass wall captures panoramic views over the lake. From below, the stone edge that meets the water suggests a root growing into the trunk of the anchoring chimney and extending up the slope, integrating the building into the site. The program consists of living and lounge areas, kitchen, dining, game area, master suite, family suites, youth bunk room, guest suite, theater, gym, hobby shop, outdoor living, and service areas. 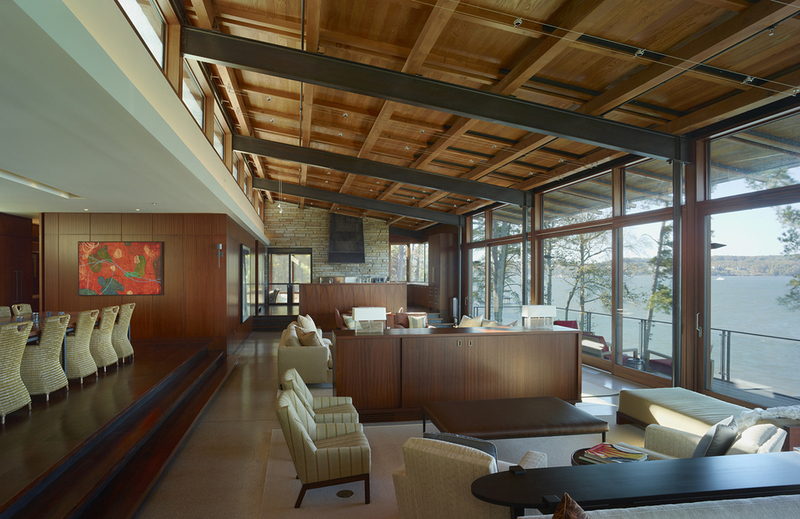 Interior finishes include mahogany floors, partitions and trim echoing yacht construction; concrete horizontal surfaces; wood ceilings; stone; and a terrazzo main floor to match the pebble beach below.